In the flooring arena, the term hardness refers to how well a particular hardwood type can stand up to things such as marks, scratches and stains. This is particularly important in hardwood flooring materials as these damages eventually distract the overall appearance and look of the wood. High heels, pets and kids are all culprits when it comes to putting marks, stains and scratches on the floor. In general, wood hardness gives a homeowner an idea on how durable a flooring type will be in the long run. A high hardness characteristic however can not guarantee that a hardwood flooring type can resist all dents, dings and scratches forced on it. Remember that even the hardest of hardwood floors can still get damaged or marred if not properly cared for. This is one of the most used tests for hardwood hardness in the U.S. The test measures how much force is needed to drive a steel ball into a specific wood type. The resultant measurement is reported in pounds-force. Harder woods require more pounds-force, or Janka, to drive the steel ball into them. This hardness test gives a physical indication of how well the wood can stand up to things such as wear and tear brought about by the pets, furniture and feet. Is hardwood flooring materials from the same family equal in hardness test? It should be noted that not all hardwoods from the same family of trees have the same hardness rating. For example, sugar maple though from the maple family of trees has a hardness rating of 1460 pounds-force, while red maple can only register 950 Janka. With every manufacturer of hardwood flooring materials on the lookout for new sources of wood, there is now a whole range of flooring materials from foreign woods. Some of these materials have hardness scores of up to 3000 pounds- force. Foreign hardwoods such as Brazilian cherry have a hardness score of 2350 Janka. The grade of a hardwood flooring material can be used to judge the hardness of a wood flooring item. This however is not as accurate as the Janka hardness test. Hardwood material grades were set by NHLA (National Hardwood Lumber Association) more than a hundred years ago with a sole objective of standardizing wood grading. Grading indicates how valuable a specific board is since a knot-free board can be used in almost any application. This is because none of the wood is wasted trying to cut out the knot. Knotted woods are quite weak and thus arenâ€™t recommended for flooring applications. Knots are known to alter the direction of grains in woods as tree fibers grow around it. The resultant alternating fibers greatly weakens the strength of the wood at the knot point. The highest grade of hardwood is the First and Seconds (FAS). This kind of wood is fairly uniform in clarity and is normally used in furniture manufacture. This is the most expensive of the hardwood materials. The commonest grade of hardwood floor materials is Number 1, Number 2A or 1C and 2AC. These grades might also be commonly listed as Common #1, #2, #3, and so forth. The higher the grade, the more expensive a hardwood flooring material is. Most homeowners prefer the look of the lower grade hardwood flooring due to among other things, their relatively low prices. Their unique and natural patterns and rustic look also make them a favored flooring material choice with many homeowners. Why Install a Hardwood Floor Over Carpet? If you are looking at installing or purchasing a new floor, there are a few options you need to consider but chances are you will come down to two main choices, carpet or hardwood floors. LA Floor has a few tips to help you realize that hardwood floors might be the better option. Spills and messes can be disastrous for carpets as they can stain and set within seconds. With hardwood floors messes and spills can be wiped clean right away without damaging the floor in anyway. Carpets need to be vacuumed often and to really get them clean you need to rent an industrial carpet cleaner. Hardwood floors can be sweep or mopped with ease. The time it takes to clean a hardwood floor is much faster than the time it takes to clean carpet. It is a well documented fact that carpets collect dust and dust mites, both of which are major allergy and asthma concerns. A lesser known fact is that no matter how much you clean a carpet there will always be traces of dust and dust mites present in the fibres. Keep in mind this is the material that your kids play on, that you walk on in an environment where you breath the air. Hardwood floors are highly sought after and well regarded. Installing a hardwood floor in your home can in most cases add more value to your home than you spend on the installation. Flip through any home dÃ©cor magazine and it is easy to see how popular hard floors are becoming a small investment up front on a hardwood floor could pay back significantly down the road. Once carpet is installed it is there for a long time and it can’t be dressed up at all to change its appearance no matter how hard you try it will always be a carpet. With hardwood flooring you can pick a neutral color and put throw rugs down to enhance whatever style you want for the room. The best part is changing the style can be as easy as resurfacing the wood or throwing a different rug over top. LA Floor has been installing hardwood floors in the Greater Toronto Area for a number of years. In addition to installing well crafted hardwood floors LA Floors also repairs and cares for existing floors. “We repair damaged floors (water damage, grooves, scratches).We also sand, buff and refinish existing wood floors. Floors can be refinished with your choice of a satin, semi-gloss or hi-gloss finish”, says the owner of LA Floors. “Installing a hardwood floor for your home or business is a big investment and as a result choosing an installer is a significant decision. 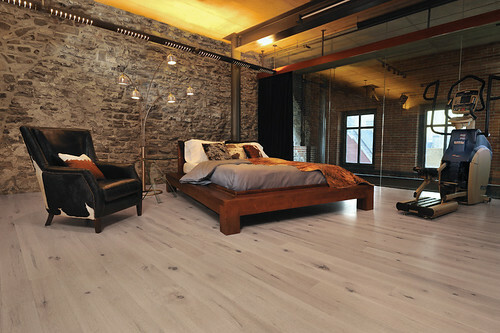 At LA Floor we work hard to earn your trust and confidence as we deliver the very best in hardwood floor installation. LA Floor is pleased to announce that in addition to installing hardwood floors they also perform staircase rejuvenation as well as complete installation and refinishing of stairs and railings. Right now residents of the Greater Toronto Area can contact LA Floor to get estimates on hardwood floor staircase repair and installation. LA Floor’s staff are all fully insured and can provide top quality hardwood staircase craftsmanship and services. LA Floor’s staff of professionals can provide any home or business in the Greater Toronto Area with a free estimate for hardwood staircases and floors. “I am happy that we are increasing the awareness of the hardwood services we provide”, says the owner of LA Floors. “I do not want potential customers to judge us by our name and make the mistake of thinking we only install floors or only work on hardwood floors. Hopefully this announcement will encourage residents of the Greater Toronto area to think of us when they want to install a hardwood staircase and railings or need an existing hardwood floor staircase refurbished.” “We get the job done right the first time and with a warranty. Our installers are certified hardwood professionals who use top quality tools to do the job right the first time. This goes for the work we do with hardwood floors as well as with staircases”. One aspect that separates the work LA Floor does with hardwood staircases from other companies is the fact that LA Floor can do custom work. Upon looking at our website https://lafloor.com you can contact us and we will send one of our qualified staff to your home or office to give you an estimate. We are confident in our abilities to customize any floor or staircase to our customer’s satisfaction. LA Floors announced today that it is expanding its hardwood floor service and installation in Toronto and the Greater Toronto Area. Beginning today LA Floor will not only offer the installation of high quality and top of the line hardwood floors they will also increase the custom maintenance and service they provide to customers with existing hardwood floors. These new services include, hardwood floor sanding, refinishing, staining, and buffing, as well as hardwood floor maintenance and repairs. Through this increase in services LA Floor is working toward its goal of providing the best hardwood floor installation and service in all of Toronto and the Greater Toronto Area. “LA Floor is thrilled at the increase in hardwood floor maintenance we are offering. We have always provided these services but are now attempting to do a better job of promoting them to customers across the Greater Toronto Area. It is our goal to offer every possible form of hardwood floor installation and service imaginable in Canada’s largest and most diverse city. I am pleased to see the progress we have made to date with every aspect of our hardwood floor business” says the owner of LA Floor. “It is a well documented fact that hardwood floors that are properly installed last longer and look nicer than floors that are left alone after they are installed. With our new services we hope to remain in contact with our customers after we install a floor for them”. Whether you own a hickory, bamboo, oak or cherry floor regular maintenance is required to ensure the longevity and look of what in most cases is a large investment. In addition to refinishing LA floors can stain, sand and treat your floors to keep them looking beautiful. “We are committed to providing the best and most professional flooring services to the complete satisfaction of our clients” says the owner of LA Floor. LA Floor has been installing hardwood floors in the Greater Toronto Area for over ten years. In addition to servicing hardwood floors LA Floors also installs hardwood floors. “We repair damaged floors (water damage, grooves, scratches).We also sand, buff and refinish existing wood floors. Floors can be refinished with your choice of a satin, semi-gloss or hi-gloss finish”, says the owner of LA Floors. “Installing a hardwood floor for your home or business is a big investment and as a result choosing a business to care for your floors is a significant decision. At LA Floor we work hard to earn your trust and confidence as we deliver the very best in hardwood floor installation and care. It is with great pleasure and enthusiasm that LA Floor announces the launch of their innovative new website, https://lafloor.com.Â Hardwood flooring installation & repairs | Custom hardwood floor designs in Toronto and GTAÂ is a website that showcases LA Floor’s hardwood floor installation and services which are available in the Greater Toronto Area. Starting this month visitors to the website will be able to learn about LA Floor, read customer testimonials, view picture galleries of hardwood floors that LA Floor has completed as gather all LA Floor contact information. All of these features and services are packed in a simple and easy to navigate website. “There is no better flooring option available today than hardwood floors”. Says the owner of LA Floor, “There is a reason why people have been using hardwood floors in their homes and business for thousands of years, they not only look great but are durable as well.” “Through our new website, https://lafloor.com/, we hope to showcase the types of hardwood floors we install and the high quality, professional work our trained staff is capable of”. Whether you are a business owner interested in adding class to your business or a residential home owner looking to the value of your home https://lafloor.com has the solution that is right for you. By visiting the website you can learn about the various types of wood floors that LA Floor provides including; bamboo, hickory, maple, pine, red oak, white oak, ash, cherry, walnut and various forms of laminate floors. No matter what your hardwood flooring needs https://lafloor.com has the solution to make your home stylish and warm. Oak is among the top choices when it comes to hardwood. This is not a surprise since oak really features a lot of advantages. One of this is durability. If you would visit a lot of antique homes these days, there is a huge chance that their oak floors are still in excellent shape. In fact, oak which has reached more than two centuries can still look excellent. Basically, it is like red wine since it improves as it age. Oak is also abundant in styles and grades. Oak also keeps looking better as it sustains staining and minimal colouring. It might be costly but it surely is worth its price. Also another one of the top hardwood options is cherry flooring. Cherry flooring is highly regarded for its elegant, dark tones. Thus, it is perfect for those homeowners who seek to achieve a dark and cozy look for their home. Basically, there are two cherry types to choose from â€“ American and Brazilian cherry. American cherry is known for its soft shade that is lighter than that of Brazilian cherry. But it is not practical for heavy traffic areas since it is not as durable as Brazilian cherry. Brazilian cherry is preferred by many and one of the reasons for this is its inexpensiveness. Also another option to choose from is maple flooring. Maple is very attractive especially since its look is considered glamorous and magnificent. Maple is naturally dark. But most people have their maple floors stained for a darker and richer color. 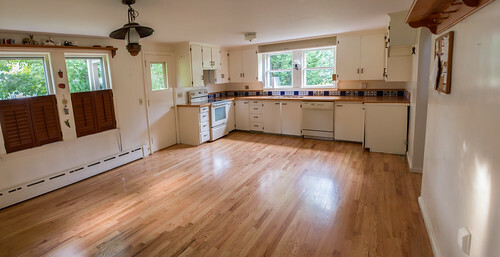 Maple floors are quite easy to clean. Regular vacuuming and occasional mopping can definitely keep it in its top shape. However, it would have to be buffed every once in a while especially if it is installed in high traffic areas. If you ever choose maple flooring, make sure there would not be a high level of heat and humidity in your home. These are things that maple floors cannot deal with. Walnut flooring is known for its rich, brown color. Most people would like the shade that is very close to chocolate brown. Walnut also shows a high level of grain variation. And it is for this that meticulous designers choose it as their flooring material. Sometimes, walnut also comes in black. Since black is a flexible color, it is a common choice in interior designing. Thus, black walnut has always been trendy. Also, walnut is considered to be a durable type of hardwood. Among the hardest walnut varieties would be the Brazilian Walnut. The final option that would be included in this list would be hickory flooring. Hickory is best known for its extreme durability. It is one of the hardest hardwood species out there and that makes it suitable for high traffic areas like the kitchen or even the living room. Hickory is also available in various colors ranging from whites to medium browns. Though the texture of hickory wood would make it ideal for traditional design schemes, it can also be applicable for contemporary design schemes. These are the options that you can choose from if you ever consider hardwood flooring for your home. Do you need to have hardwood installed in your home? Do you need someone to maintain your current hardwood floor? Contact La Floor Inc. as our specialty in the area of hardwood flooring will impress you! If you have been wondering if the type of floor in your home has an impact on the value of the home, the simple answer is it does! Most professionals in the housing industry recommend spending money on flooring as a way to improve the home’s value. If you are planning to renovate your home, new flooring can be a great investment. By installing a hardwood floor, you can end up reaping returns when you decide to sell the home. It is important to understand how you can increase the value of your home. Have you started making plans for improving a certain room in your home or maybe just parts of it that need to be renewed? We have prepared some interesting tips to help you refinish your hardwood floors. You will discover here some steps which you have to follow so as to renew your wood floor in half the time in comparison to sanding. You will also discover useful tips for doing this at half the expense required for sanding. If You Are Interested In Warmth And Beauty In Your Home, Go For Hardwood Flooring! Have you decided to make a change in your home and do not know exactly what to choose? We have a recommendation for you today â€“ hardwood flooring.Â What it can offer you from the beginning is a space that looks better and more warmth that will make you love your home. That is not all. Hardwood flooring also increases the value of your home which is not something that you should ignore. Hardwood floors can successfully be installed over radiant heat systems by an experienced professional flooring installer. This means that a homeowner will need to consider the experience of the installer, his knowledge of the hardwood flooring material being used, his understanding of the radiant heat system, and most important, moisture. All these variables need to be understood and controlled, or else the floor will end up being a disaster. Moisture is the biggest enemy of the hardwood floors. In order to increase theÂ lifespan of your hardwood floors, all due care is required from the homeownerâ€™s end. If you are planning to install hardwood floors in your home, it is very important that you perform a moisture test prior to installation. Wood is one of those building materials that are susceptible to moisture. Wood tends to expand, bend, warp and contract according to the level of moisture and temperature in the air and on the surface of the material. Although hardwood floors in Newmarket are designed to provide a noise-free and a solid finish surface once it has been installed, wear and tear and movement over time may tweak the wood sections.